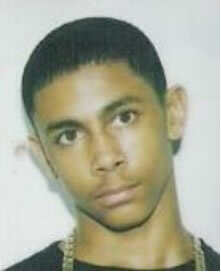 Police are reiterating their appeal for information about the murder of Anton Hyman on the second anniversary of his death. A reward of up to £20,000 is offered for information leading to the arrest and prosecution of the person(s) responsible for the murder. 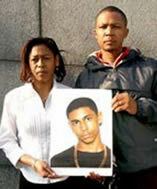 On Sunday 21st March 2004 at 11:10 the body of the 17 year old from Acton was found in the River Brent, Brent Park, W7. He had been stabbed and shot in the back. Anton was black, 5 ft six and a half inches tall and of slim build. When his body was found, he was wearing distinctive bright multi-coloured woolly gloves, blue and white Timberland boots, dark coloured jeans, a dark grey fleece, a green tee shirt and a green shirt with 'Iceberg' written on the breast pocket. On the second anniversary of his son's death, Anton's father Delroy Elliot said "Two years ago my son Anton was beaten up, stabbed in the heart, shot in the back and thrown into the River Brent. As his father I still feel numb on a daily basis. I thank God for the good times I had with him. I have been a Christian for many years and I can put my hand on my heart and say that I forgive the people who have trespassed against me, but I would still like justice to be done. I plead to those people out there who murdered my son to come forward or to anybody who has any information to call anonymously to Crimestoppers." Investigating Officer DI Anthony McKeown from the Specialist Crime Directorate West said "We are appealing to the community to stop shielding Anton's killers and help us solve this crime. Someone must know who killed Anton or have suspicions that a loved one, friend or acquaintance was involved. We ask them to think about Anton's family who are still devastated by their son's death and need answers about why this has happened. The individuals who murdered Anton are callous and dangerous and need to be caught, please, if you have any information, contact us in the strictest confidence." Anton's mother Vanessa Hyman said "I miss Anton's love and infectious laughter and the care he showed to me and his little sister. His body was found on Mother's Day two years ago and his death has left a huge void. His little sister and I miss him terribly. I appeal to peoples' better natures to come forward and help solve this crime. I don't want anyone else to walk in my shoes, so if anyone knows anything that will help, I ask them to tell the police. Knowing what happened to Anton, and that whoever killed him has been brought to justice, will give us back our peace of mind and allow us to move on in our lives."